Most people know they should have a will, but no one likes to think about dying. Accidents and illnesses can happen at any time, and not being prepared with a will can hurt your family. Many have the misconception that wills are only for the wealthy and your money. Wills protect more than just your assets. If you have children, a will ensures they are in good hands if something happens to you. Getting a will in place is not difficult; below are five easy steps to get started. There are so many opportunities to make mistakes, do not choose a “do it yourself” will. 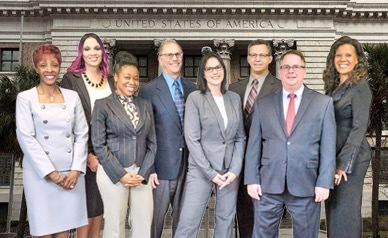 Start by contacting a trusted and experienced estates attorney. HD Law Partners provides free consultations to get you started. You will have to choose who will inherit your money, property, and possessions. This step should not take very long unless you have a complicated family structure. Have a list ready of who will get what. Your estate attorney will add it in your will. Select an executor of your will. The executor is the person who will make sure your wishes in your will are carried out. This job can be difficult, so you will want someone who is responsible and trustworthy. Mistakes can easily be made. It’s best to hire a professional and experienced estate attorney to be your executor; this will ensure the inheritance is correctly dispersed. Pick a guardian for your children. If you have someone in mind to appoint as guardian over your children, ask them beforehand. Your designated guardian does not have to accept. If they turn down the role, the court will appoint a guardian for you. Keep your will in a safe place. Have someone you trust know where to find your will along with any other important financial documents and passwords. Keep the original protected like storing it in a safe. 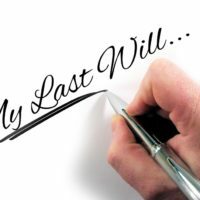 Are you considering a will or an estate plan? Our experienced family law and estate attorneys can help. Contact our offices today to schedule a free consultation.